The club will host an Info Night on Monday evening for anyone thinking about playing senior women’s footy at the Hampton Rovers in 2019. 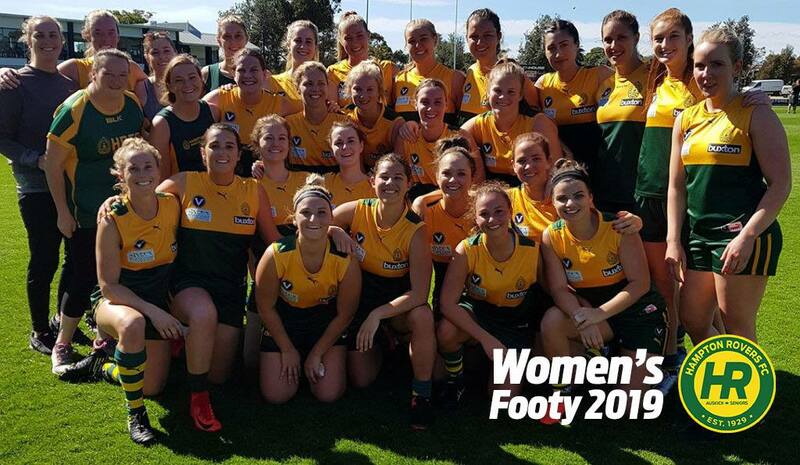 2019 will be the third season the Rovers have fielded a senior women’s team in the VAFA and the club is looking to recruit new players to strengthen the side. Come along to learn more about the club and what the Rovers can offer you in 2019. Club officials, players and coaches will speak, and you’ll have the opportunity to ask questions and even register for the new season if you wish. The info night will commence at 7:30pm at Boss James Reserve (David St, Hampton) and we welcome everyone to come along. There will also be some food and refreshments afterwards. The night is free to attend. Pre-Season Training has commenced for the 2019 season and is currenting being held each Monday and Wednesday – further details will be available on the night.